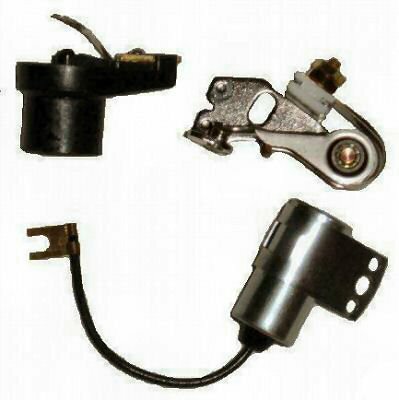 Fits Delco style conventional ignition systems with points. Replacements for Mercruiser, Chris Craft, OMC, Crusader and more. Kit includes Points, Condenser and Rotor. Chris Craft - 16.69-00049 (Points), 16.69-00050 (Condenser), 16.69-00051 (Rotor). OMC 3.0L 1982-1990 with Delco Distributor 982351.